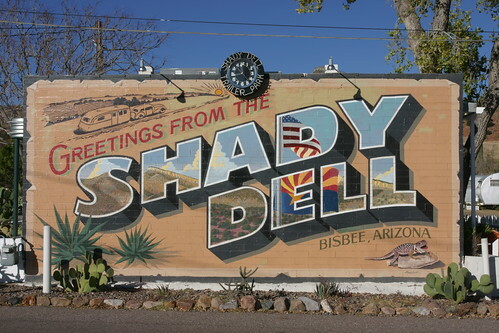 Mali Mish – A Tour of The Shady Dell in Bisbee, AZ. 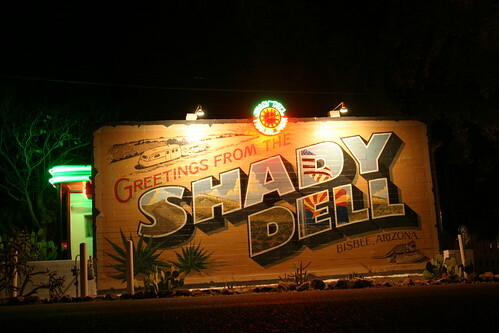 A Tour of The Shady Dell in Bisbee, AZ. 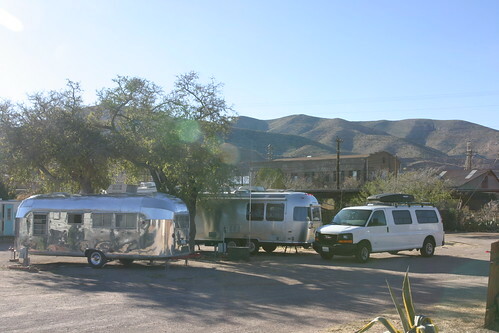 We’ve blogged a lot about our stay in Bisbee, AZ. It really is a lovely little old mining town that we love visiting. 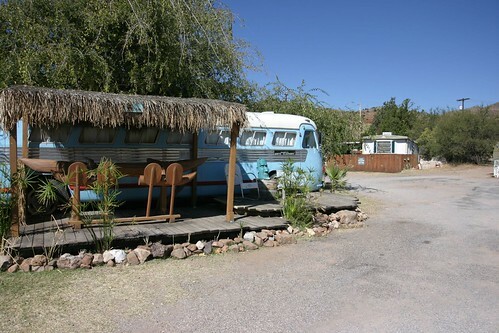 As we are about to wrap up a series of posts from our 10-day Arizona trip, I want to give you another photo tour of the cool little RV park called The Shady Dell. This is their famous mural on the street side of the office wall that greets visitors as they pull into the campground. Looks even better as it is lit at night. 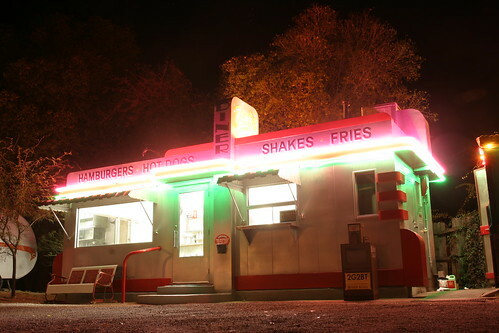 Dot’s Diner is on the grounds but it has not been open the last 2 times I have visited them. This time they are under going restoration until February of next year. I’m dying to try the burger. It was lit up one evening and someone was working hard getting her back into prime shape. I need to come back for my burger! You can see Dot’s Diner at the right edge of the photo here and a number of vintages trailers dot along this side of the property. 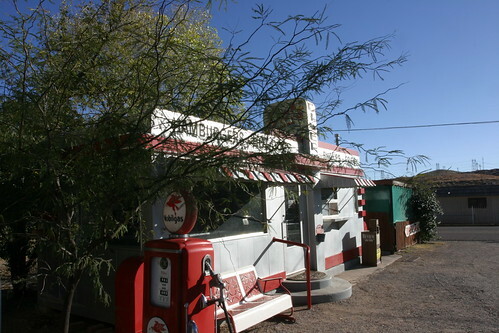 The Shady Dell loves their vintage outdoor decor. 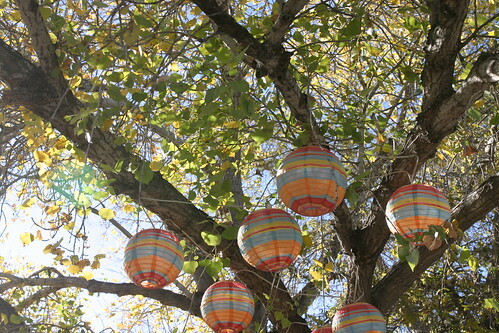 These little Chinese lanterns are a nice touch. So are these red chairs, white picket fence and the ACME Fast Freight wall painting. 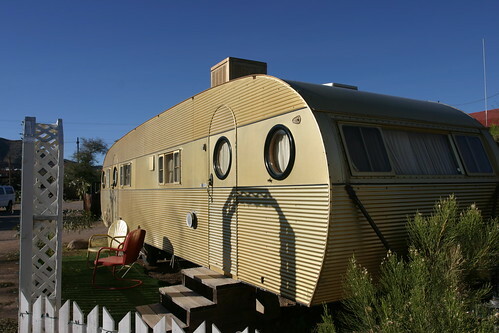 This guy is a little 1950’s home built trailer. 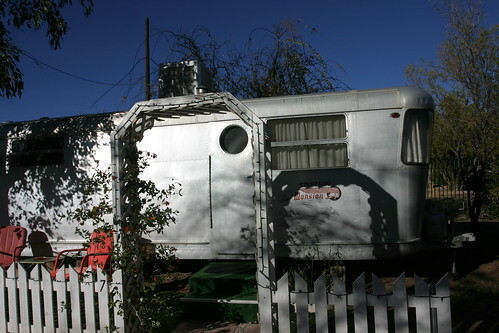 Many of the trailers have painted outdoor chairs and white picket fences. 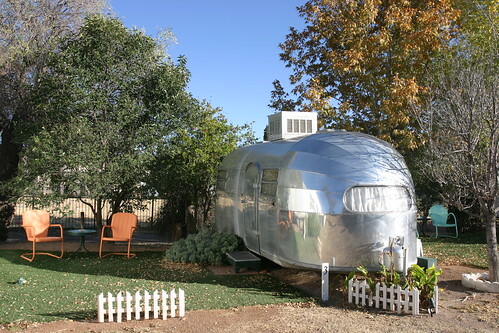 Check out this beautiful 1949 Airstream. Some even have the obligatory pink flamingos. This little guy is called the El Rey. 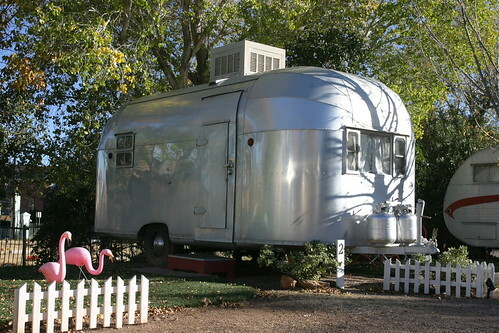 We feel like posers here with all the other vintage and restored trailers around the park. 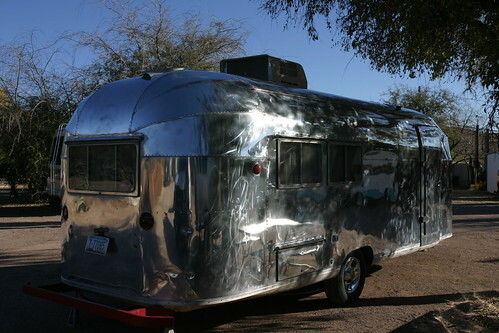 There were lots of trailer companies making aluminum trailers between the 30’s to the 60’s. 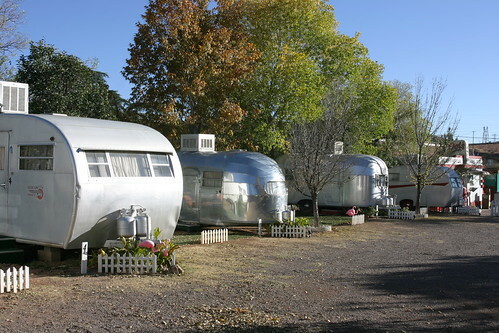 Nearly all but Airstream are no longer doing business today. 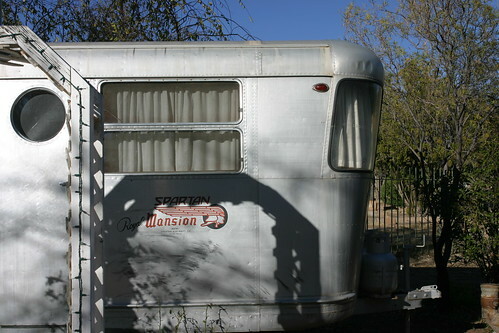 This is a Spartan Royal Mansion Trailer. They were very popular in its day and I think The Shady Dell has 3 of them for visitors to stay in. 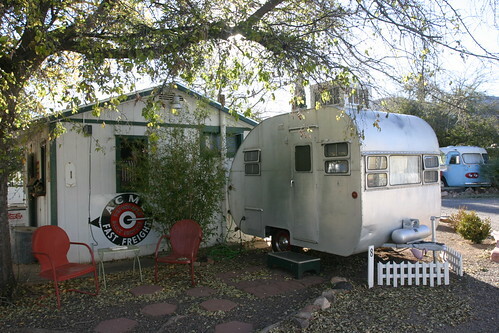 Other than trailers, they have other vintage vehicles converted as sleeping quarters for rent. 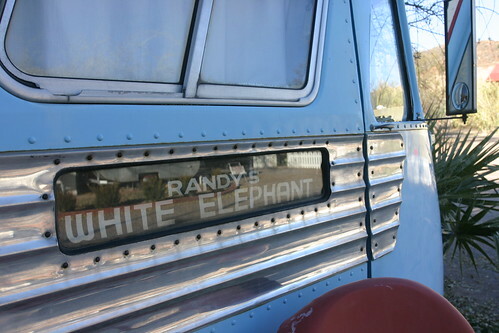 For example, Randy’s White Elephant. 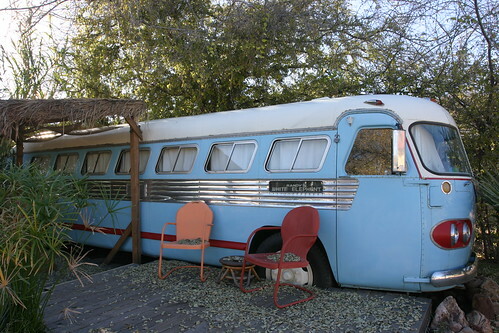 It is a converted bus with painted vintage chairs and outdoor tiki bar to boot. If silver isn’t your thing, how about gold? 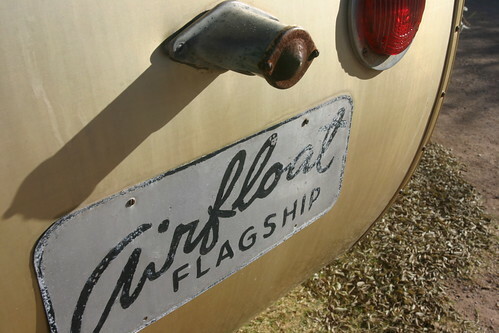 The Airfloat Flagship Trailer might just be your thing. I love how the trellis shadow makes it appear that the trailer has a sad face. How about this? 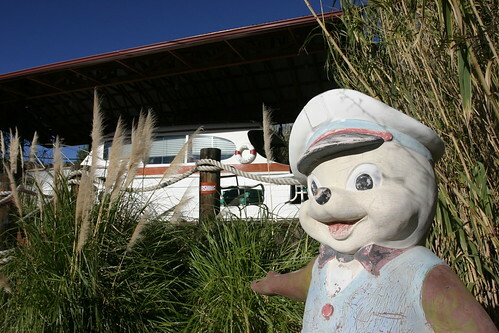 Captain Harbie likes to welcome you to your very own yacht. 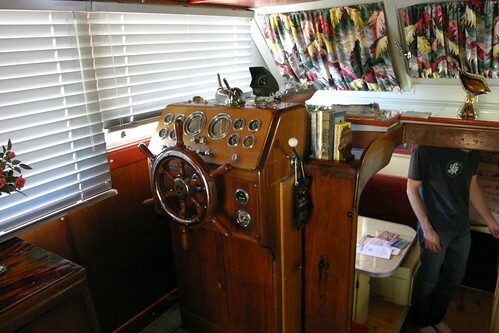 Its still got the helm station but you won’t be sailing off anywhere soon. 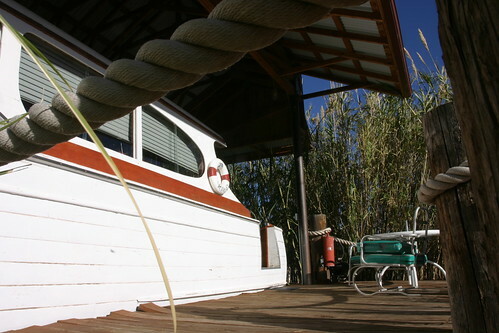 Next to Harbie’s yacht, there is a little space in the metal fence you can squeeze through… Are you interested in seeing what’s on the other side? That’s right! 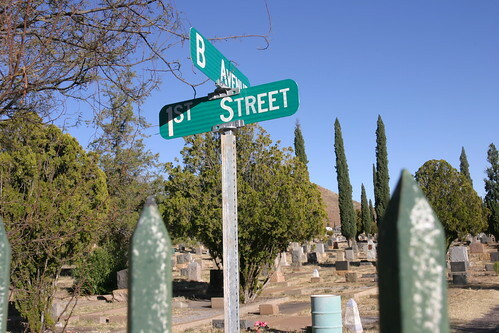 It’s the corner of B Avenue and 1st Street. 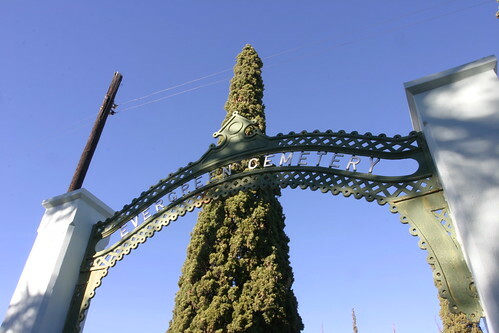 Also known as the Evergreen Cemetery. Many men back in the day who gave their lives in the mines are buried here. 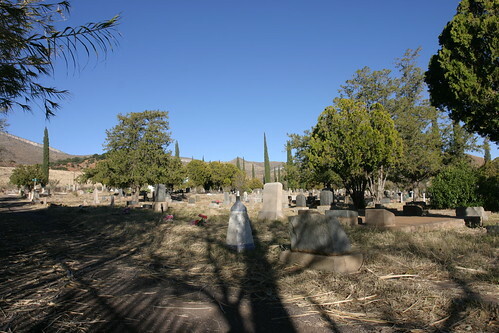 Bisbee is well known for its haunted houses so if you are into ghostly encounters, The Shady Dell is your kinda place. The current owners Jen and Justin had just bought the property earlier this year (2008). They have kept the place in more or less the same condition as when we stayed here back in Halloween 2005. My Secret WiFi Hot Spot Weapon. The RV Web: Chapter 2 – Wireless Broadband. 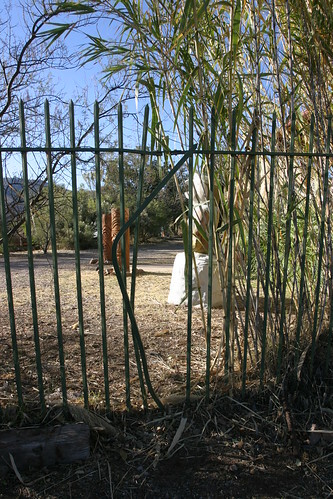 3 Responses to A Tour of The Shady Dell in Bisbee, AZ. i think i see a ghost of halloween past in one of those photos! hehe.